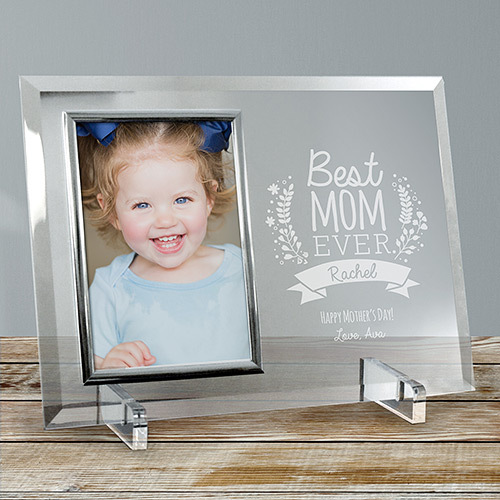 Mom will feel extra special on Mother's Day with one of these Mother's Day Personalized Gifts, or use it as a gift for her birthday or Christmas when you give her a frame expressing that she's no doubt the best mom ever! We will skillfully engrave any name along with any three line message on this frame to make it a thoughtful gift for any occasion. it was lovely; recipient loved it. I was very satisfied with the picture frame! It looks AWESOME!